Uber is bringing a small number of self-driving cars to its ride-hailing service in San Francisco. It is a move likely to excite the city's tech-savvy population. It also is certain to antagonize California regulators. The launch in Uber's hometown expands a public pilot program. The company started the program in Pittsburgh. That was in September. The testing lets everyday people experience the cars. At the same time, Uber can work to identify glitches. This is before the technology is expanded in San Francisco and elsewhere. California law, however, requires a test permit for self-driving prototype vehicles. Uber does not have a permit. The company argues that the law doesn't apply. Uber says its cars already require a human backup. Uber has a history of testing legal boundaries. The company has been around less than a decade. But it has argued with authorities around the world. One such argument was over how much of its drivers' histories should be covered in background checks. And, whether those drivers should be treated as contractors ineligible for employee benefits. 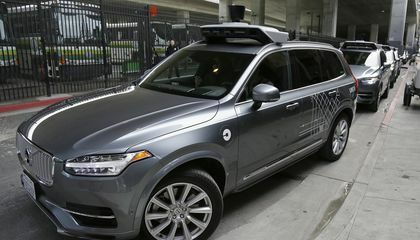 Uber's self-driving tests in San Francisco will begin with a "handful" of Volvo luxury SUVs. The company wouldn't release an exact number. The cars have been tricked out with sensors so they can steer, accelerate and brake. They can even decide to change lanes. The cars will have an Uber employee behind the wheel. That individual would take over should the technology fail. Users of the app may be matched with a self-driving car. But they can opt out if they prefer a human driver. Self-driven rides cost the same as ordinary ones. The cars will be put to the test in the congested streets of San Francisco. Uber believes its technology is ready to handle all this safely. Its executives do concede the vehicles are nowhere near able to drive without a human. That person can take control in dicey situations. There was room for improvement during a test drive attended by The Associated Press. The Uber car was destined for a pizza parlor. It didn't pull directly in front of the restaurant. Instead, it stopped in the middle of the street. The cars may strike some riders as over-cautious, too. During the test drive, one idled in a traffic jam. This was even though an nearby lane was clear. That prompted the human driver to make the move himself. Once testing is complete, the ultimate vision is to sell to the public technology that supporters argue will save thousands of lives. That is because it doesn't drink, text, fall asleep or take dangerous risks. Under California law, self-driving tests on public roads require a permit from the Department of Motor Vehicles. The department has issued permits to 20 companies. These are mostly a collection of traditional automakers and tech companies. But not Uber. Uber argues that its cars aren't really autonomous. Uber says the law doesn't cover them. Under the law, an "autonomous vehicle" requires a permit if it can drive itself "without the active physical control or monitoring of a natural person." 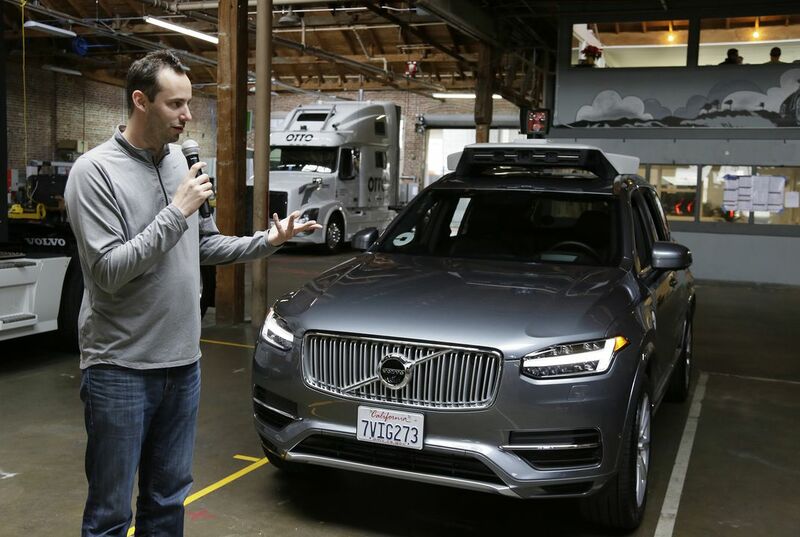 Anthony Levandowski is the leader of Uber's self-driving program. He says Uber's cars simply aren't advanced enough to drive themselves without human monitoring. Therefore, the Volvos are not autonomous and do not require a permit. In a statement, the DMV noted that 20 companies have permits to test hundreds of cars in California. "Uber shall do the same," the statement said. Why is Uber so interested in self-driving cars? Self driving cars hit the streets in san francisco. my opinion:I think it is cool but it would scare me if i was not driving cause if the computer did something wrong I couldn't do anything about it.